And they got there thanks to this grand slam in the fifth inning. Cubs? White Sox? 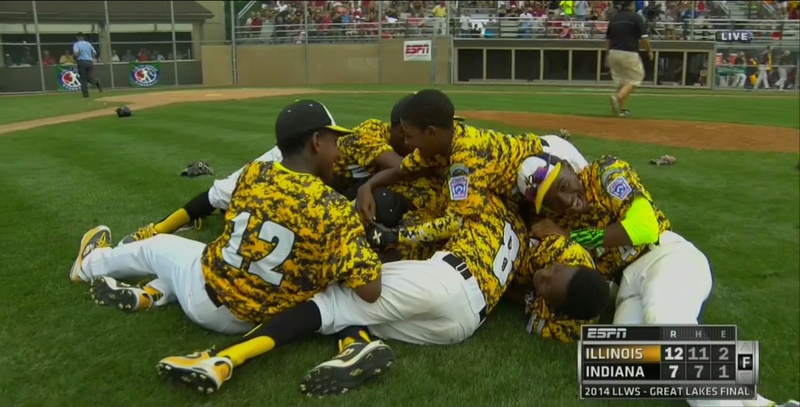 The only postseason baseball you get in Chicago is Little League. I couldn’t believe how happy seeing this and his dunk made me. In case you were still wondering why Darwin Barney was designated for assignment. When the choice is fatherhood or dingers, I’m taking dingers every time. That little man has some pop in his bat. There’s a thing you learn when you watch the Chicago Fire enough. You learn that, no matter how good things are going, something bad is always going to happen. So I knew that the Fire were going to give up a tying goal in Saturday’s match against New England, because they aren’t allowed to win matches. Draws or losses, that’s how they roll. So when the Fire were called for a foul with five minutes to play and New England got a penalty kick, I didn’t even bat an eye. I knew it was coming. What I didn’t know was coming was this.